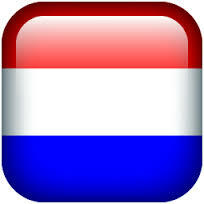 Our beautiful marina was once the land of a manor, and one of the largest agricultural companies in the Netherlands. In 1898 the land was taken on by the government, and in 1900, the then Ministry of Public Works dredged and equipped the harbour for use as a ferry terminal. 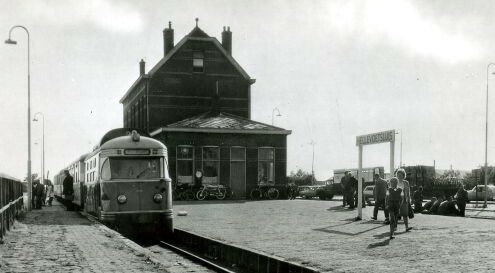 Over the years, the port has had many names, the first name we could find was Spoorweghaven which was followed by Empire Haven, Tram Port and then Ferry Terminal. 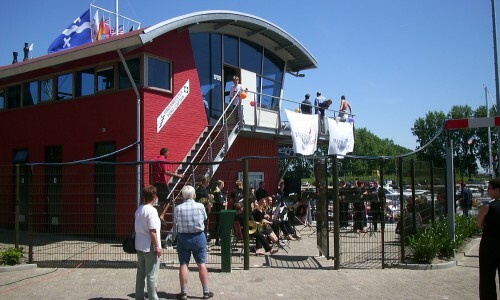 The RTM – the Rotterdam Tramway Society, was originally given rights to use three piers on the west side of the harbour and there was a station building where passengers who arrived from Rotterdam by tram, waited for the ferry. 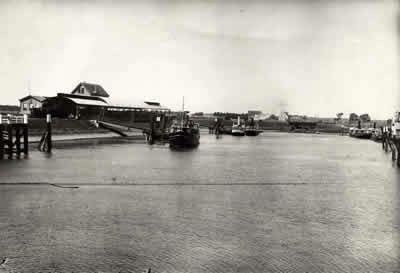 On October 15th, 1900 the first ferry sailed to Willemstad and this was soon followed another ferry to Ooltgensplaat and Zijpe, and later another one to Den Bommel. Cargo transport, to and from the port, was of great importance at that time and on the north side of the harbour there were three jetties at different heights from which the goods brought by rail were shipped out. Incidentally, the RTM was the first tram network in the world to work with containers but in 1957 street cars carrying goods came to an end. After construction of the Haringvlietbrug (bridge) in 1964 the ferry became unnecessary and the last transport to Willemstad was in 1966, leaving the port open to new owners and new functions. Then in 1990 Waldi Wiedmer and Jeannet Klick bought the shipyard at the marina with the plan of building a Catamaran to charter in the Caribbean, but the shipyard went from strength to strength because their hard work, and of course, their plans changed. The shipyard owned several berths in the marina in those times, which were naturally in demand by customers of the shipyard. 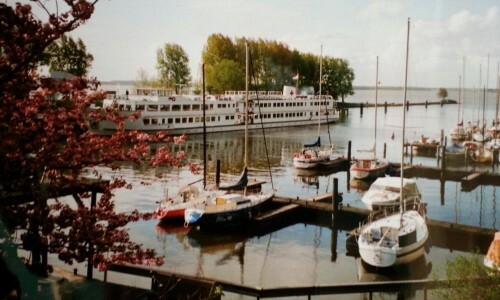 Jeannet and Waldi eventually bought out the public and Council owned berths in order to further expand, and offer more facilities to their customers. Then in June 2002, they held a grand opening of the newly modernized and refurbished marina as you see it today. Lastly, in 2012 the Shipyard was sold to the Rexwinkel family, and to this day, both the shipyard and marina continue to help boat and ship owners get the most out of their vessels and enjoy sailing with peace of mind.